Are you in the market to find car dealerships in south bend indiana? Do you want to see quality used cars at affordable prices? If so, stop by and take a look at what we have at our dealership here at R&B Car Company. If you want to find a large inventory of cars, trucks, and minivans for sale, you will see them right here at our dealership. Whether you are on the hunt for more modern used cars for sale, or older reliable, affordable ones you will have many options here at R&B Car Company. Have you decided its time to buy a car? Will this be your first vehicle or are you looking to make an addition to what you currently own? What are you most interested in finding? Perhaps a sedan? 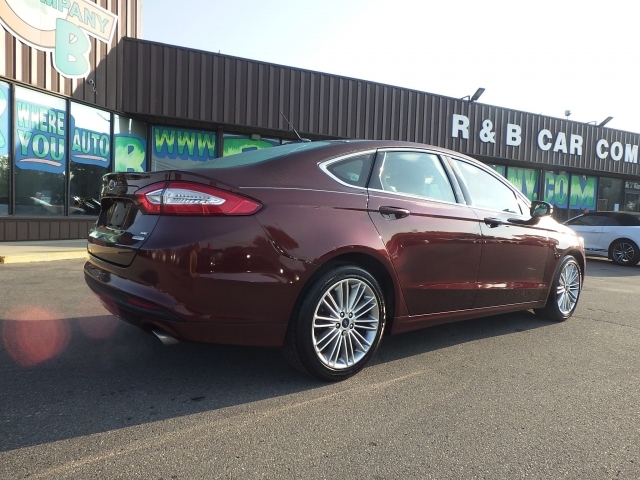 If you want a quality, dependable, affordable and economical car, stop by our dealership here at R&B Car Company and take a look at this 2015 Ford Fusion which has a unique exterior color of Bronze Fire Metallic Tinted Clearcoat and has Charcoal Black Leather Interior. If you love the feel of leather but know how cold the seats can be in the winter, you will appreciate the Heated Seats. Yes, that is right, you can warm your backside with heated seats to get that warm comfy feel you need. There are some wonderful, desirable features such as Navigation,Smart Device Capable, Bluetooth, and Dual Climate Control so both driver and passenger can get their interior temperature at the right level of comfort for themselves. With AM/FM Stereo and the option for Satellite Radio, a CD Player and MP3 Compatibility, you will never be without your favorite tunes whether it's from the stereo, cd or your best-downloaded music. This Ford Fusion is loaded with the latest technology features that you will be sure to appreciate, especially if you enjoy being able to communicate with family and friends. 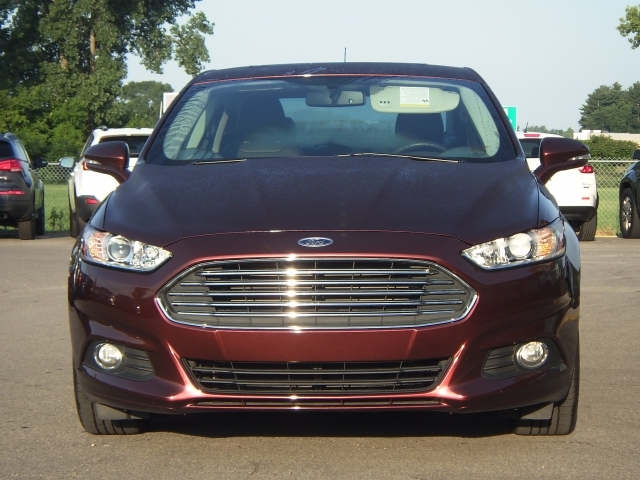 So, stop by and tell someone on our sales staff that you are interested in taking a closer look at the 2015 Ford Fusion mentioned here and they will be happy to show you and let you go out for a test drive. When you are ready to find dealerships near you with quality affordable cars, trucks, vans and SUVs, come by R&B Car Company where you will find a large selection of all types of vehicles, if you are looking to save a few bucks, you can check out used cars south bend dealers at R&B Car Company with a price tag below 5k. We have vehicles in a lot of price ranges for every kind of budget. So whether you want a more modern car or one that costs a lot less, you can find what you need here at our dealership. So remember us here at R&B Car Company when you are ready to purchase your first or next vehicle, and you want to find quality used car dealerships south bend. Stop by and talk to us today and let us help make your car shopping experience a fantastic one!